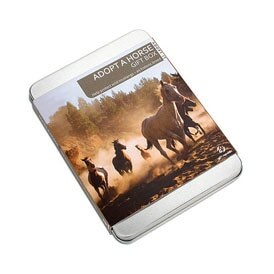 Adopt a Horse and help to ensure the survival of wild mustangs - an historic breed. 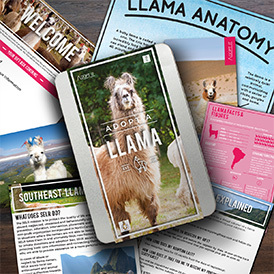 These beautiful animals have a rich history entwined with the arrival of the Spanish in America and the imfamous Wild West, all of which you can learn all about with your adoption pack. 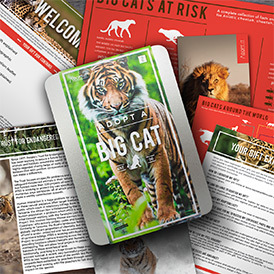 This exciting pack includes easy-to-follow instructions - register online or by post to receive a supporter certificate, a colour photograph and a Monero Mustangs tour discount voucher. A perfect excuse for that trip to New Mexico you've dreamt of! 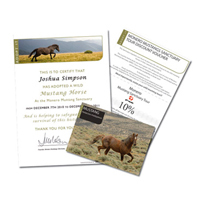 Your adoption will assist the conservation work of the Monero Mustangs Sanctuary, a non-profit organisation in New Mexico. *Newsletters are sent at the discretion of Monero Mustangs Sanctuary. How long does it take for me to receive my certificate, photograph and voucher? Where is my horse located? All the horses are located within the boundaries of the Monero Mustangs Sanctuary in New Mexico, USA. The full contact details are provided in the gift tin. Which horse have I adopted? For logistical reasons we are not able to identify which horse you have adopted, however your adoption is vital to ensure the future survival of this historic breed and the continuing development of the Monero Mustangs herd is crucial to this. Can I visit the horses? Once you have registered your gift, you will receive a tour discount voucher which entitles you to a 10% discount off the full cost of a ranch tour for you and one guest. Will I be able to ride my adopted horse? No. The horses are wild animals and are not safe to ride. 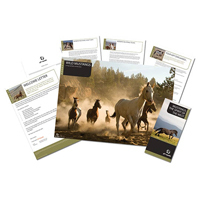 Disclaimer: This gift package is produced in association with Monero Mustangs Sanctuary (MMS), a 501(c)3 non-profit corporation. MMS does not just concentrate its efforts on one particular project. If for any reason a project is unavailable, MMS reserves the right to allocate the donation wherever they feel the need is greatest. 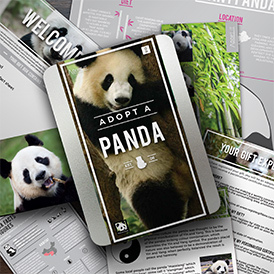 For every person that registers their gift, Gift Republic donates approximately 10% of the RRP directly to MMS. 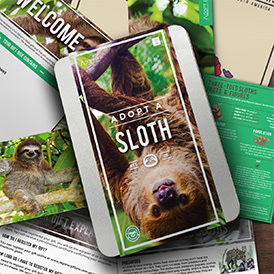 The adoption and tour discount is valid for 12 months from the date of registration. This is a novelty gift item and must be regarded as such.